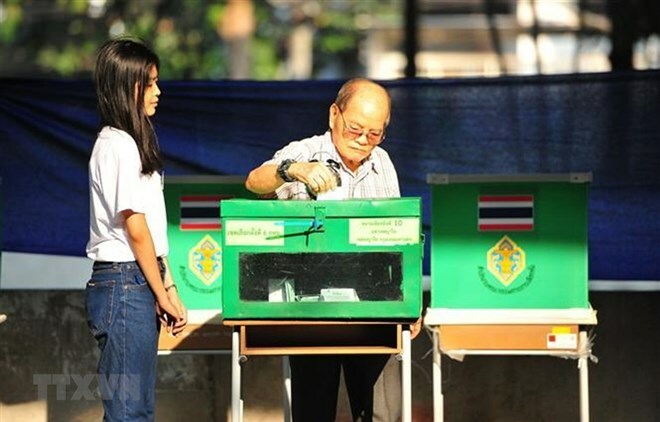 Bangkok (VNA) – The Election Commission (EC) of Thailand said that the election re-runs should be organised no later than April 28, ensuring that they do not clash with the King’s coronation rite from May 4-6. Under the Thai constitution, parliament must convene its first meeting within 15 days after the official results of the counting of at least 95 percent of votes is announced on May 9. According to EC Chairman Ittiporn Boonpracong, the commission has received 326 complaints in connection with prospective winners in 66 constituencies since the voting on March 24. Ittiporn Boonpracong said that the EC’s decision to seek a Constitutional Court ruling on its method of calculating and allocating party-list seats will not affect the endorsement of official poll results on May 9.